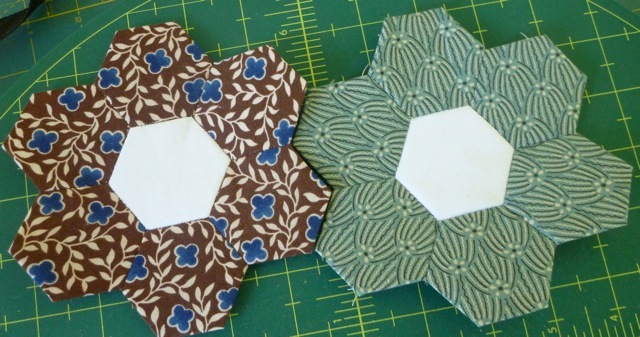 I joined a hexie flower swap on the Craft Forum and these are my first two 1″ hexies for my swap partner. Her order was for white centres and the same fabric for all the petals. No particular colour preference was requested. That makes it so much more fun. Neat. Your stitching looks perfect. I LOVE the fabrics you chose! A swap really sounds fun. I love the graphic one. Wonderful flowers! Where did you join this swap – I'm interested (could you email me the link please) linda dot gilli at gmail dot com. Thanks! Pretty flowers! The swap sounds like fun.